This is the fourth in a series of six posts exploring issues currently facing training professionals and the upcoming trends in training for the next five years. Every time a new type of 'edtech' gets introduced, there seems to be a desire for that technology to become a one-size fits all solution. Since the innovation of correspondence schools, the search for the ultimate solution to teaching everyone, everywhere, at any time has been the holy grail of educators. There is no one ‘best fit’ technology, of course. The solution lies in using instructional design to match the right technology to individual learning objectives, popularly known as blended learning. From around the uses of technology and the learning outcomes that result, discussion that will continue over the next several years to identify which technologies should be used for certain desired learning outcomes. "Cognitive psychology is the study of mental processes such as attention, language use, memory, perception, problem solving, creativity and thinking. Much of the work derived from cognitive psychology has been integrated into various other modern disciplines of psychological study including educational psychology..."
When discussing cognition and how it relates to educational technology, we are discussing how people learn within the context of a particular delivery technology. In other words, it isn't appropriate to teach every type of content in the same way. The technology needs to appropriately address the content, and vice versa. Just because you are using a virtual classroom doesn't mean everything has to be taught in the virtual classroom platform. And just because we have the technology doesn't mean we should use it as the "magic bullet." The implementation of cognitive educational technologies in the virtual classroom can be very daunting simply because of the many choices of technologies that are available. The key to choosing the correct one is to identify which technologies work best for the particular learning outcome that is desired. Note we are discussing matching learning outcomes to technologies, not learning styles. Focusing on learning styles often leads a designer in the wrong direction and can undermine the desired outcome. While there is no solid body of researching supporting learning styles, there is a substantial amount of literature debunking learning styles - auditory, visual and kinesthetic learners do not learn better in one way over another. We have a preference to learn in a particular way but not to the exclusion of other methods - an auditory learner will still learn with visual and kinesthetic methods. By blending together technologies to maximize cognition (learning), we achieve a stronger design. I've discussed how to do this in a previous post, Designing Blended Learning with Bloom's Digital Taxonomy. Using Bloom’s Taxonomy, depending on the desired outcome, you would categorize your learning objectives into one of the six levels of learning and then use appropriate activities that correspond to the levels of learning in order to achieve the desired level of mastery. For example, at the original knowledge level of learning, a student can recall knowledge by performing such activities as creating a list or creating a list of defining features. Technology-delivered instruction, whether through the internet or self-paced eLearning, or a blend of multiple learning technologies, is not new anymore, and certainly no longer considered to be a fad! It's become the standard method of delivery these days, particularly for corporations, so we need to embrace and accept it. Learners coming into the workplace have been training using these methods. 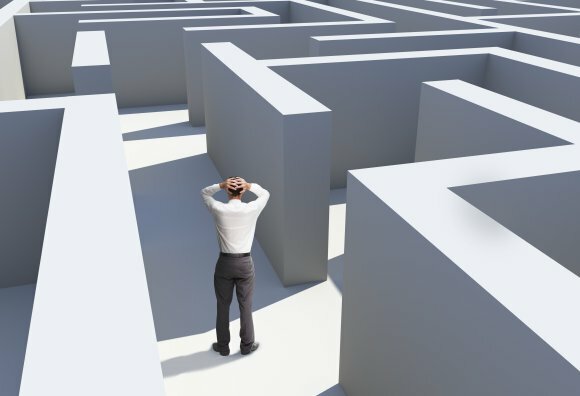 In fact, they expect them, so if you have been tasked to answer a training mandate, then part of your solution should include the use of technology. But don’t depend on technology to do the work for you. Learn about how people learn, and develop a strong understanding of how to appropriately blend content together to maximize the learning outcome. Next in this series: Trend 4 - Blurring the Lines Between Work and Learning. Interested in learning more about choosing the right learning technology for your learning objectives? 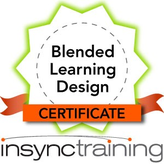 Click on the graphic below to check out our Blended Learning Design Certificate course and learn how you can earn your Blended Learning Design Badge.